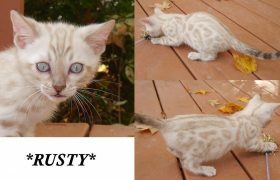 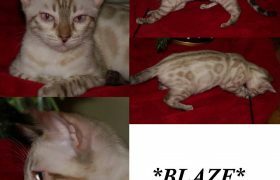 Casper – Snow Spotted Boy Bengal Kitten Queen : KotyKatz Scarlet Rose Stud : WildStyle Swagger or Simply Bengals Availability : No longer available. 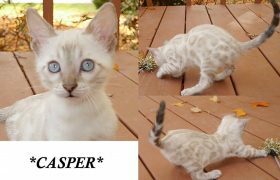 Casper is the lightest seal lynx point of the group, but he will darken as he continues to mature. 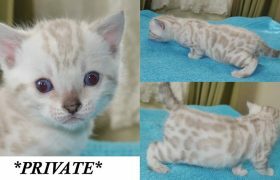 He has such a great horizontal pattern flow. 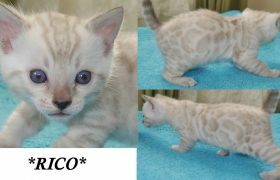 We have hope he will grow into a big guy, just like his dad Simplybengals Swagger. 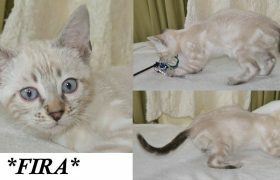 Another beautiful example of the seal lynx/snow Bengal Kitten!